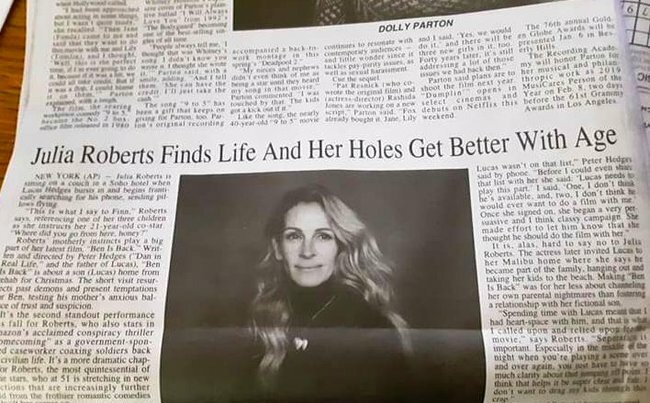 This newpaper's Julia Roberts typo is the most embarrassing typo ever. 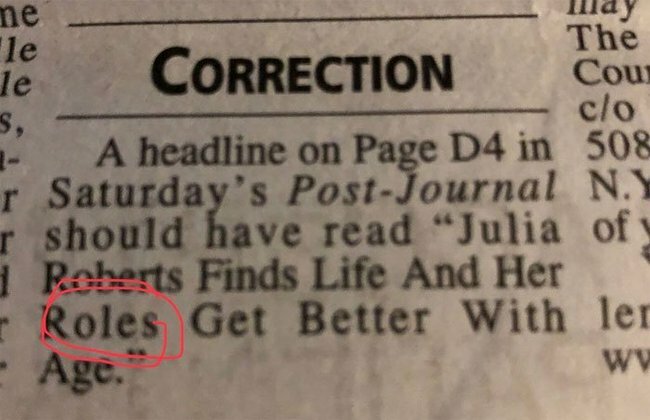 A newspaper made a very, very unfortunate typo in a Julia Roberts profile and... oh no. Typos happen to all of us, but one particular typo is so… unfortunate that is has gone viral around the world. Prepare yourself, because the second-hand embarrassment will hit HARD. The Post-Journal of Jamestown, New York ran a feature on Julia Roberts, 51, and her current career resurgence. 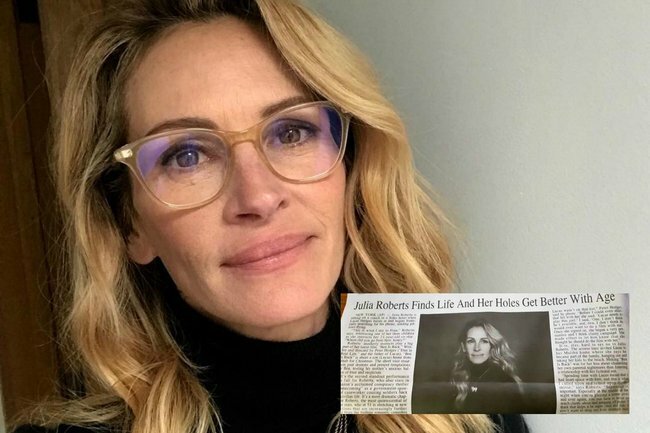 The truly glowing profile of Julia Roberts has been very overshadowed by probably the worst typo in human history – and it was right there, huge, in the headline. ...Good to know? Image: Twitter. That is just... so bad. The following day, the paper ran a correction (much, much smaller than the original article). It was too late though because the internet had seen and they had thoughts. The best part of that Julia Roberts&apos; Hole article is that we can all hear her cackling as soon as she saw it. I didn&apos;t know Julia Roberts even plays golf but I&apos;m glad she&apos;s getting good at it. The feature, from the Associated Press, interviews Roberts about her recent roles, including her first ever TV show Homecoming. "With age comes more complexity of possible parts," Roberts said in the profile. "You know, I&apos;m happy and I have fun at home, so it would take a lot for someone to say: &apos;Look, you can play this part where you&apos;re happy and have fun.&apos; Well, I just do that at home!"